Exclusively Ours!! 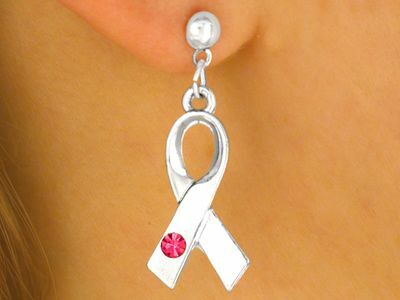 Lead Free Nickel Free Mirror Silver Finish Ribbon Earrings Are Accented With Genuine, Pink Austrian Crystals. Earrings Measure 1 1/4"L x 1/2"W.
See Available Necklace W9982N Below!